Stamps/Images: Simply Betty - SBS 'Goblin Queen' digistamp. 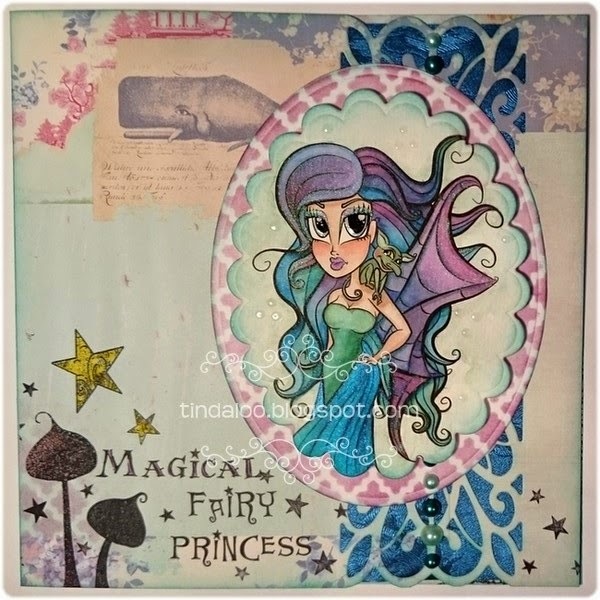 Crafty Secrets ClearArtStamps 'Fairies SM05'. Hot off the press CS - 'HOTP1150 Dressform'. Papercraft Essentials magazine freebie issue #107 Lavinia Stamps. And Lavinia CS 'Large musroom'. PY Hobby CS 'Fåglar & fjärilar'. Panduro Hobby / Vibeke Spigseth CS A5 'Luftballong'. Papers: Bazzill cardstock. Plain white cardstock. Panduro Hobby card background DesignPaper pad by Tone Finnanger - Tilda. 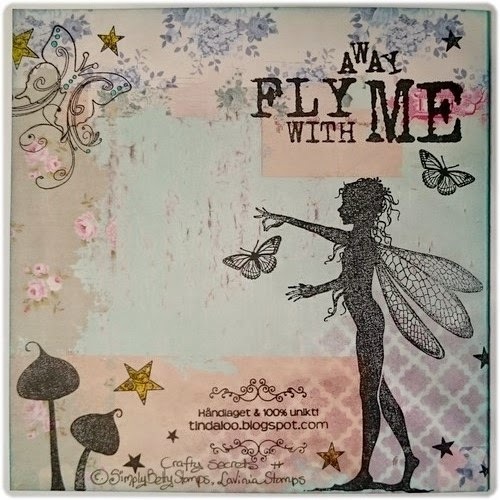 Embellishments/Tools: Sue Wilson die 'Striplet Coll Regal CED1608'. Memory Box Stencil 'Tessatina 88516'. 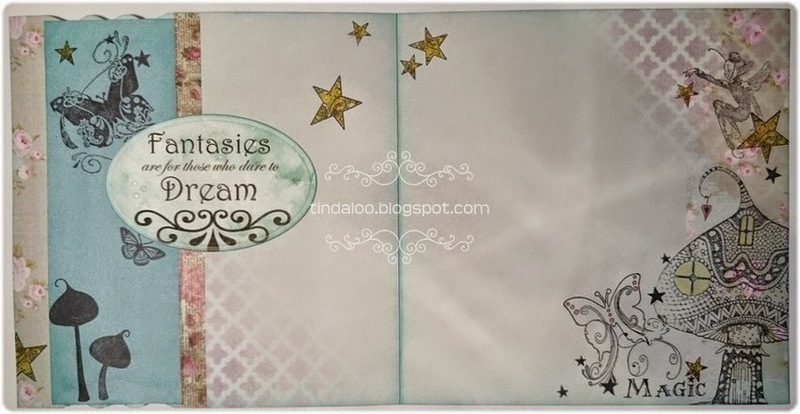 Spellbinders™ Nestabilities 'Petite Ovals Large', 'Oval Classic Scallop Large S4111'. Nille Memories washi tape. Papir Design half pearls 'sjøgrønn'. Techniques: I always use my Scor-Pal to score n fold my cards. I prefer Canson Montvale aquarelle paper (200 g/m coldpressed). My distress tools from Ranger Ink is always in use! ~ Tim Holtz® Mini Ink Round Blending Tool & the Inkssentials Ink Blending Tool and Foams. I used misc. Luminarte Twinkling H2o's Shimmering Watercolors, and Tim Holtz Distress Ink pads & markers to watercolor and distress image and papers. Glossy accents on details! fun card, amazing coloring! so glad you played along with Simon Says Stamp Wednesday Challenge! Very pretty card inside and out! Thanks for sharing it at The Pink Elephant Challenge!